Ultimately, I can't help but feel like the Senran Kagura series is at its best when it's exploring other concepts like water gun tournaments, cooking, and even pinball. There's just more room for creativity all around. Outside of the catchy and upbeat Japanese rock music, almost every aspect of Burst Re:Newal is extraordinarily low budget and mind-numbingly simplistic. 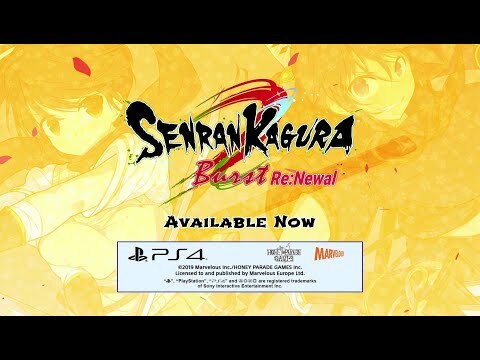 Senran Kagura Burst Re:Newal is a breath of fresh air after the fumbles of the last few games in the series. I got on board with this franchise for the unique characters and addictive combat, and this game has both of those things in spades. It's a treat to see the origins of the cast redone on home console, but if you've never played a single game in the series before, Burst Re:Newal is the best this franchise has to offer for you. Senran Kagura Burst Re:Newal is a nice gateway into the franchise and a very good remake of the 3DS classic but one that won't offer much for players of Estival Versus thanks to a lot of reuse.